I'm constantly asked where to eat when at Walt Disney World. This is an incredibly difficult question because everyone has different tastes - and I will fully admit that I am a food snob. If I'm going to spend calories on something, it better be worth it. Sometimes I want interesting spices and sometimes I just want a good sandwich. 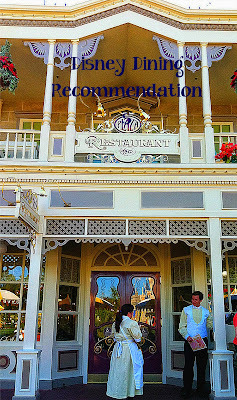 I had a client book a few days ago for New Years and was disappointed that he couldn't get a reservation for Be Our Guest Restaurant. Silly man - that books out 6 months in advance! To get that reservation during peak season, you MUST book it (or have your agent do that!) for a later day in your trip ON your 180 day mark. As long as you have a resort reservation, you can book more than 180 days - book for the last day of your trip 180 days from check in! If you answer with "hot dogs" it's easy - head to Casey's Corner in the Hub. Fast, easy, less expensive. Burgers? Well, they all taste the same to me, but I'll differ to the Disney Food Blog for that one! Feeling adventurous? Check out the restaurants at the Animal Kingdom Lodge! My personal favorite is Sanaa, but I had a great experience at Jiko and many swear by Boma as a great way to explore new flavors! Like Mediterranean flavors? I'm obsessed with Cat Cora's Kouzzina - at Disney's Boardwalk. I have had 3 or 4 amazing meals. Some don't enjoy it, but again, that may be differences in everyday food choices - I am a more adventurous eater and enjoy the flavors of Italy, Greece, and the Mediterranean! Food snob? Me? Yeah, probably. But, I am also the first to tell you - my favorite of the Mexican restaurants, La Hacienda - is not for everyone! If you are looking for tacos, burritos, enchiladas, do not go to La Hacienda. I have taken people there who didn't like it! It's expensive (yummy) but not standard Mexican - don't expect that when you walk in! I crave Kouzzina all year long! If you are at Epcot, your choices are nearly unlimited - plus the quick boat ride to the Boardwalk - it's almost hard to choose! However, if you are at the Magic Kingdom, there are fewer in-park options and they are generally more crowded, and book quickly. 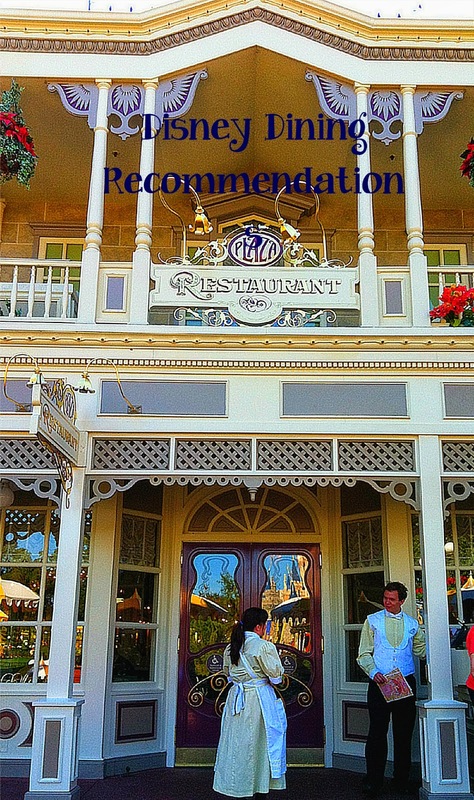 Consider heading to one of the monorail/ferry resorts for a meal! We enjoy heading to the Polynesian for a meal! They have fantastic table and counter service options! Heading to a resort can be a great way to slow down, break the day, and get great food! Need help choosing? Ask for personalized suggestions - part of the itinerary planning we offer at Guru Travel! I have to pick restaurants for a combination of what I like and food allergies. Even something as simple as fries, if they cook onion rings or fish coated in batter in the same oil - that is a no go for me. I love The Wave, smaller portions, great flavours, they will easily cook for my allergies and amazing desserts. Kona Cafe at the Poly has made me a few great meals as well. I go a bit after the lunch rush and that makes it easier to accommodate for allergies. I love the Prime Time Cafe and have had great meals made for me there. This topic always seems to peak folks' passions, doesn't it? (It's almost like talking politics!!) I often hear fans talk of their favorites and think to myself, "I'd never go back there"! But as you point out, that's the beauty in the rather large diversity of dining options that are NOW offered at Walt Disney World. It's all good! Disney on Ice presents Let's Celebrate!